WHAT IS THE YOGI FAIR? 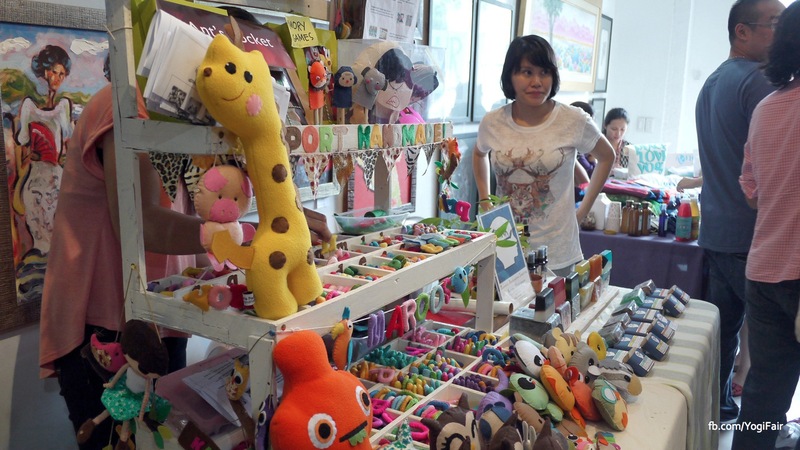 The Yogi Fair is a curated fair showcasing the Yoga lifestyle and Filipino crafts and designs. It was recently launched last August 25, 2013 at My Little Art Place, in San Juan City. The fair brings out Yoga practitioners out of their yoga mats and local artists out of their studios and into the four walls of My Little Art Place to celebrate all things Yoga and handmade. 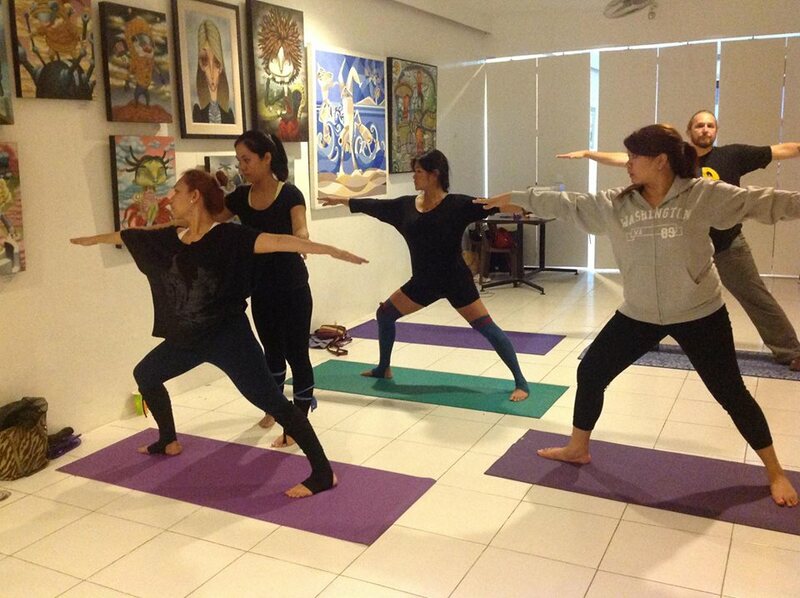 It hopes to promote a healthy and balanced lifestyle by making the Yoga lifestyle more accessible to the public. 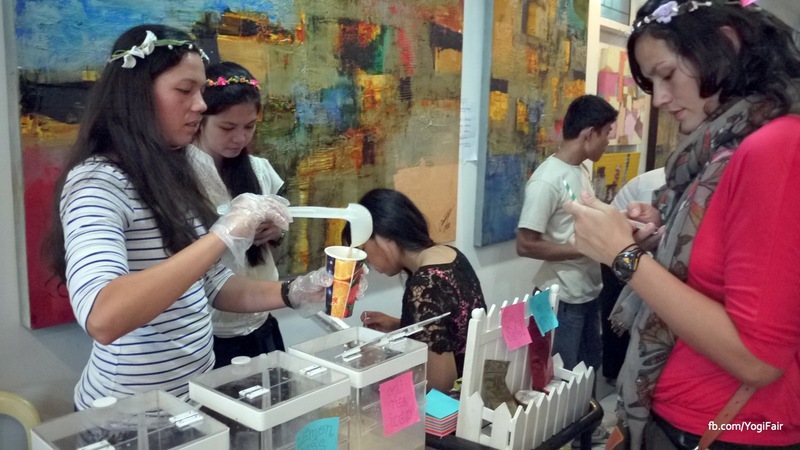 It supports local artisans and promotes advocacies on animal rights, buying local products, and the environment to help raise awareness on climate change issues. Yogi Fair is the brainchild of singer-songwriter/yoga practitioner, Nityalila Saulo who came up with an idea to organize a weekend market so that she could hangout more with her friends who shared the same yoga lifestyle. She opened the idea to her childhood friend and owner of My Little Art Place, Maya Ladyong, to hold it at her gallery. Two months later, Yogi Fair was launched. 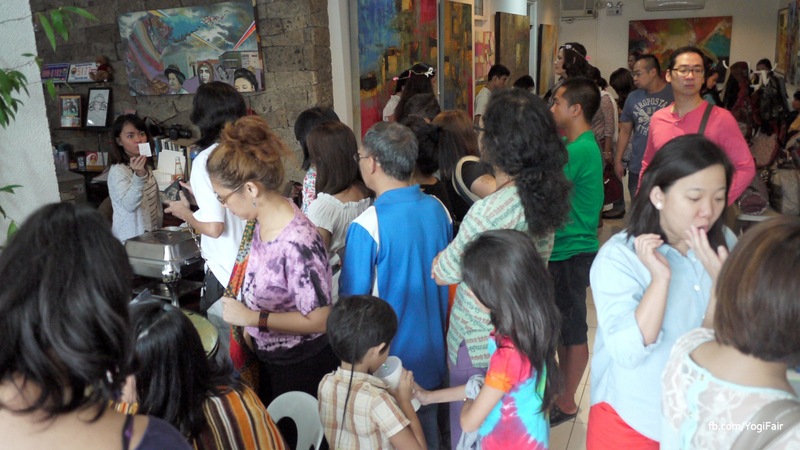 At the fair you can expect your favorite Filipino meal translated to a vegan or vegetarian form while surrounding yourself with art, paintings, eco-friendly products and other reasonably priced handcrafted creations by experienced and emerging artrepreneurs suitable for a balanced lifestyle. What makes Yogi Fair unique is that it’s the only weekend market in the Metro that promotes the Yoga lifestyle. It hosts Yoga classes for non-practitioners to beginner level and gives free vegetarian cooking demonstrations. Open drum circle jamming also ensues. Guests lining up for the good vegetarian food by My Vegetarian Cuisine. Enjoy cool drinks served by Yoga Club Inc. Yoga teachers themselves. If you’re a yogi/designer interested in having a space or want to facilitate a talk on the Yoga lifestyle at the Yogi Fair, welcome! We are always on the lookout for new talents. If you are interested in volunteering, having a non-profit booth, providing entertainment, offering a service, or sponsorship opportunities at the fair – please email us with an idea on how you’d like to collaborate. Click here for more details. Here’s the map to Yogi Fair / My Little Art Place. You may click on the image below to navigate using google maps. Visit our calendar for upcoming fair dates. Thank you very much!